You can't miss that spark of flavor! (SPOT.ph) Just when you thought the Jollibee favorite Classic Burger Steak with Mushroom Gravy can't get any better, the country's top fast-food chain comes up with the all-new Pepper Cream Burger Steak, which you can order at Jollibee outlets in Metro Manila and Luzon beginning January 2 and in Visayas and Mindanao starting January 16! 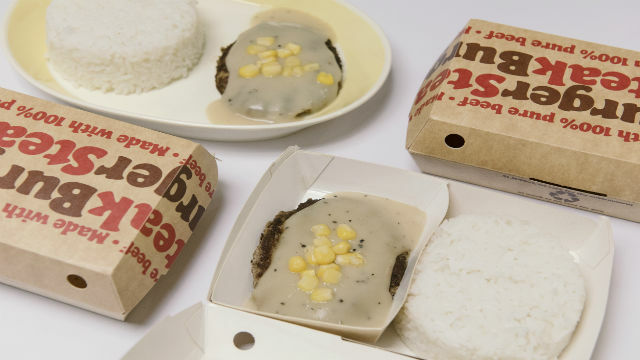 The Pepper Cream Burger Steak, which was revealed to SPOT.ph in an exclusive taste preview held in early December, certainly lives up to Jollibee's reputation as the home of the original burger steak. It's a patty made with 100% real beef topped with sweet corn kernels and a new flavorful sauce made with real cream and just the right amount of black pepper, which gives every bite a subtle spark of heat that slowly grows on you. If you're a fan of all things juicy and peppery and an even bigger fan of the Classic Jollibee Burger Steak, you can't miss this one! The Jollibee Pepper Cream Burger Steak is priced at P50 for the solo meal and P55 for the value meal with a regular drink. Visit Jollibee's Facebook page for more information. This article was created by Summit Storylabs in partnership with Jollibee.